This entry was posted in What I Learned. Bookmark the permalink. key is assigned but never used. You are absolutely right. Not sure why I did it that way. Code has been updated. Must have been a late night of coding! 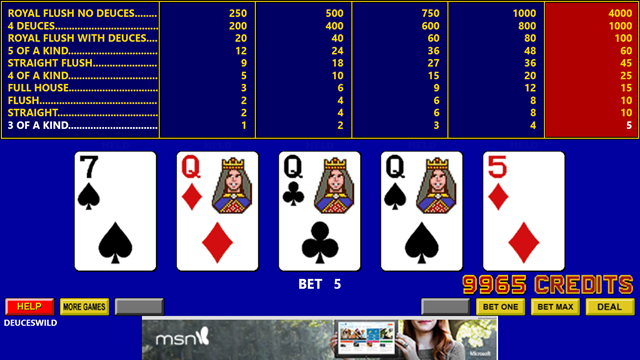 Everyone’s entitled to their opinion, but the UI is actually based on real video poker machines in real casinos. Take a look around. I’m just going for authentic. Nice work, good info – thanks.